Inhouse training is an excellent way of getting exactly what you want from a training course. Choosing the right open course for your employees can be difficult sometimes. If a certain course doesn’t cover everything you need, you may find that you are booking on several more to get what you want. Inhouse training is very flexible; it can be delivered both internally and externally and its content can be tailored specifically to your business. 3B Training work with a range of trainers and training partners to make sure you get the information you need. These training professionals will know how to get the best out of your employees during the course and will ensure that they are competent before they leave. Open courses can be expensive if you are booking training for multiple individuals. Inhouse training can be delivered as an all-in cost and usually works out cheaper. If you are sending multiple employees on training at once in-house training onsite will cut the cost of travel, which is always a winner. 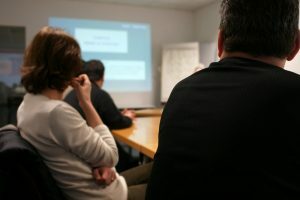 What in-house courses does 3B Training deliver? 3B Training offers a range of accredited and 3B certified training courses on an in-house basis. Take a look below at the courses available. Courses that are accredited by a training body cannot have their content altered due to the accreditation scheme rules. Although this is the case, these courses can be organised specifically for your business both at a 3B Training centre or a site of your choosing. It is a great way to train all your workforce at once. Site Safety Plus Accredited Courses – SMSTS, SSSTS, CITB Health & Safety Awareness, SEATS, Temporary Works Coordinator, Temporary Works Supervisor. First Aid Courses – First Aid at Work, Emergency First Aid, AED Training, Paediatric First Aid, citizenAID First Aid, Mental Health First Aid. Food Safety Courses – Food Hygiene Level 1, Food Hygiene Level 2. 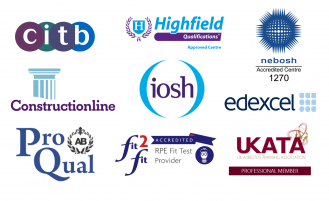 IOSH & NEBOSH Accredited Courses – IOSH Leading Safely, IOSH Managing Safely, IOSH Working Safely. Scaffolding and Working at Heights Courses – Advanced Scaffolding Inspection, Basic Scaffolding Inspection, CISRS (COTS), PASMA Training. Construction & Utility Courses – CAT and Genny, Confined Spaces – Low Risk, Confined Spaces – Medium Risk, H&S in a Construction Environment, NRSWA, SHEA Gas Training, Signing Lighting and Guarding, UKATA Asbestos. Plant Training Courses – CPCS, NPORS, IPAF. These courses are much more flexible in terms of content and duration. If discussed beforehand 3B will be able to alter the content to suit what you are looking for. Fire Safety Courses – Fire Awareness, Fire Marshal/Warden, Fire Risk Assessment. Health & Safety Courses – Accident Investigation, COSHH Training, Face Fit Testing, Face Fit Tester Workshop, Legionella Awareness, Lone Working, Manual Handling, Method Statement & Risk Assessment Workshop, Mindfulness & Wellbeing, Risk Assessment, Sharps Awareness, Spill Responder Training, Traffic Management, Vehicle Banksman. Scaffolding and Working at Heights Courses – Ladder Safety, Safety Harness, Working at Heights Awareness. Construction & Utility Courses – Abrasive Wheels, CDM Regulations Awareness. What eLearning Courses are Available? Take a look at the range of eLearning courses that we offer as an alternative to classroom learning here.